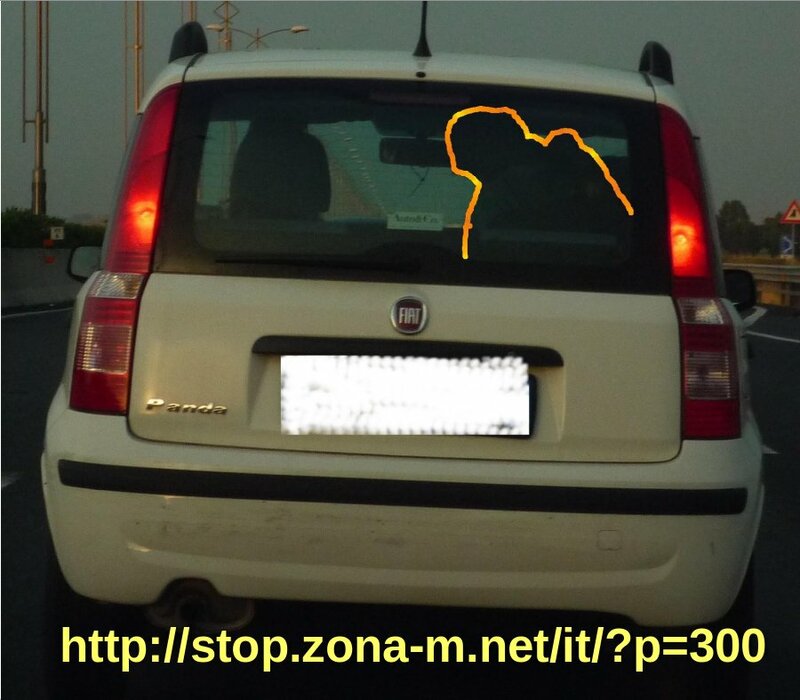 The italian text at that URL is an open letter in which I ask Italians to pay much more attention than they are currently doing to the security of their children while driving. I am not publishing a full translation because, as far as I know, the letter as it’s written only applies to Italy, so this is just a short explanation of what that photo is about. The yellow silohuette in the photo, taken by the person sitting besides me that day, is a 6⁄7 year old kid that spent about 20 minutes while moving at 90 km/h on the highway walking and jumping from side to side on the back seat. Unfortunately, this particular kind of carelessness is still very common in Italy (you can see quite frequently adults standing on the front passenger seat with a toddler on their lap playing “human airbag”) and is one of the reasons why every 3 days a children dies in some car accident. So I wrote this letter to sum up how serious the problem of children traveling in cars is, providing as proof something I witnessed myself, and to ask for more attention to children safety while driving from now on.